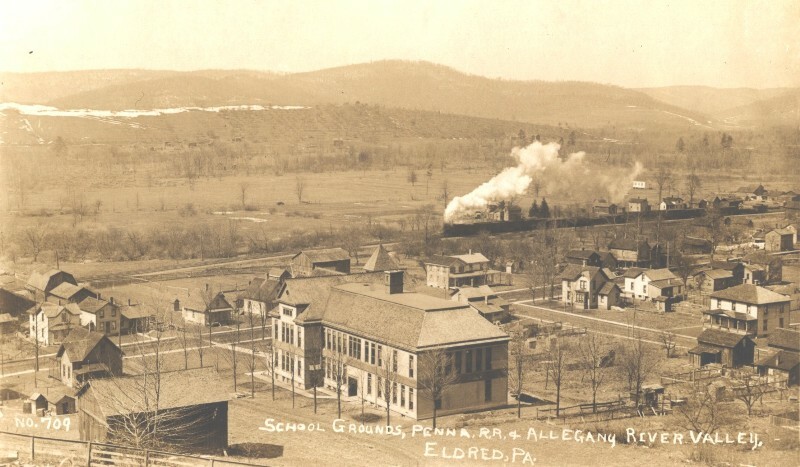 The Eldred High School was built by John S. Cotton in 1889. The cost of the building has been reported at between $7,150 and $10,000. 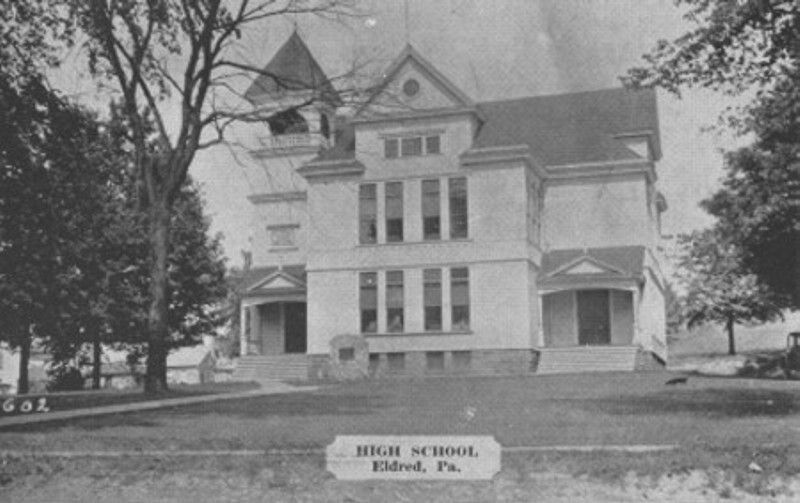 Upon completion the building was described as having no equal in McKean County. 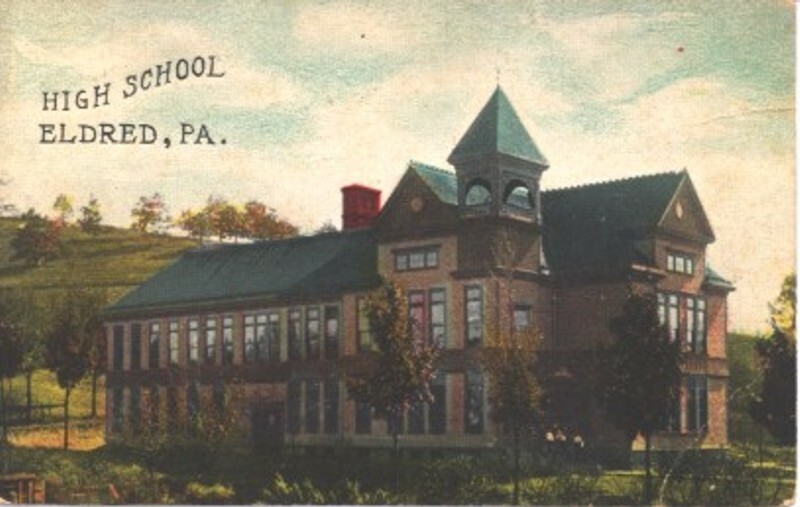 It included such features as air chambers between the floors through which warm and cold air were forced, three study rooms, two recitation rooms and a principal's room. There were two large corridors, upstairs and down, which were twelve feet wide and the length of the building. 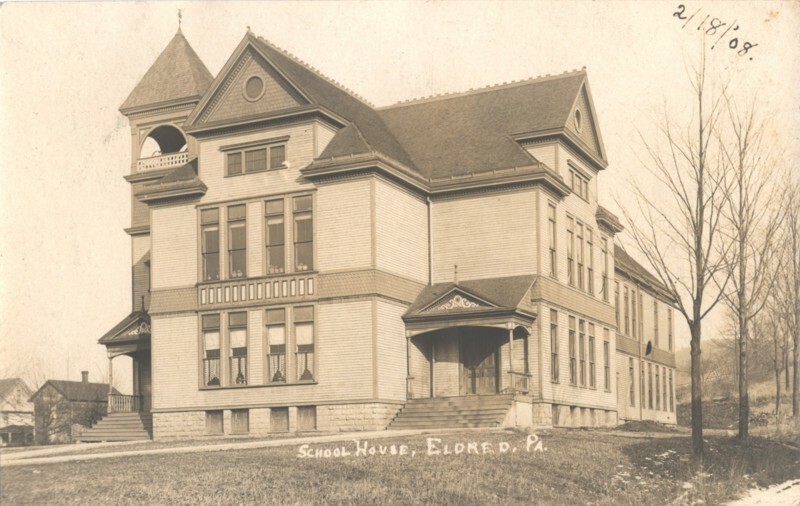 On November 30, 1889, dedication ceremonies were conducted by A.H. Mayo, president of the school board. The speakers at this event included Superintendent Eckels and E.R. Mayo of Smethport, Attorney Cotter and Professor T.J. George of Eldred. 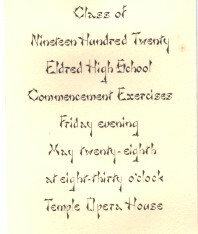 The curriculum for the high school at the beginning of the twentieth century consisted of a number of subjects at each grade level. The freshmen were expected to take arithmetic, history, classics, grammar, physiology and algebra. 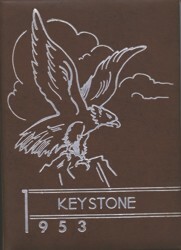 In the sophomore year, the students completed algebra and studied bookkeeping, civics, physical geography and Latin. Another course in algebra, geometry (plane), general history, Latin and rhetoric were the subjects covered in the junior year. The seniors completed their education with botany, Caesar, geometry (solid) and literature. 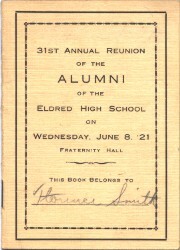 The Eldred High School served the community from 1889 until it was closed in 1959 when the jointure formed with Otto Township created the Otto-Eldred High School district. The building was torn down and the property is now the residence of Mr. & Mrs Julian Baldoni. Eldred High School cheerleaders sweater letter.